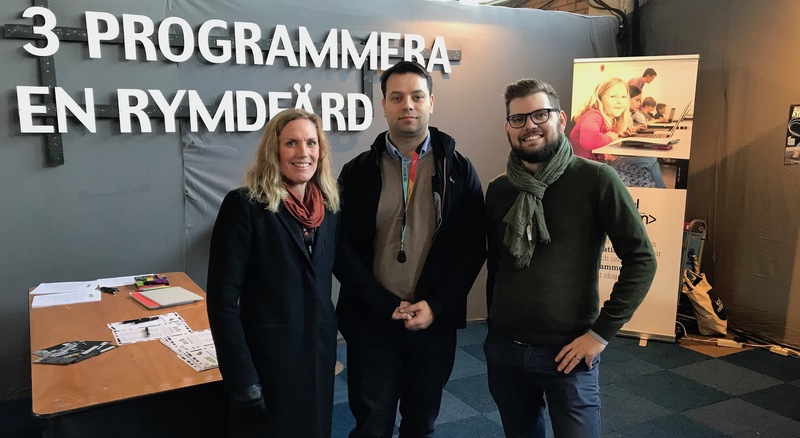 Sigma IT Consulting and the non-profit association Kodcentrum are arranging clever activities together during the international science festival in Göteborg. With the activity Programming a space flight, we want to spur interest in programming, games and problem solving in children in grades 1-5. The task for the children is to encode a game. With assistance from programmers at Sigma and Kodcentrum, the children can try programming in Scratch and also control each other as robots in a computer-free game. – We are very proud to be able to inspire school children together with Kodcentrum and show what exciting opportunities the world of programming has to offer, says Beatrice Silow, communications and cultural manager at Sigma IT Consulting. We have a long-time commitment in getting children and young people in touch with IT and programming at early ages. For this reason, we at Sigma have arranged code gatherings for several years together with Kodcentrum to promote young people's interest in programming. Today, there is a shortage in IT and technology expertise and the IT & Telecom companies have presented a competence report, which identifies that there will be 70,000 people missing in the IT industry by 2022. Sigma wants to contribute in solving this shortage. In addition to collaborating with Kodcentrum to secure IT skills in the long term, Sigma collaborates with Pink Programming to get more women interested in programming. The company also works to highlight female role models and female leaders in the business and arranges the Sigma Smart Women Society network, where female profiles inspire and lead the way to the IT industry. When April 6-7, open to the public. The school program runs April 1-12.